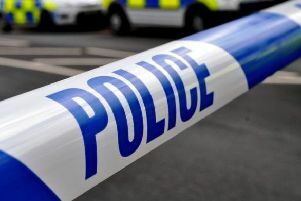 A man is reported to have shouted out to an Eastbourne schoolboy and then chased after him on Tuesday afternoon (April 26). The 10-year-old was walking home in Downs Avenue around 3.30pm when the incident occurred. The man did not physically make contact with the boy. The man is described as pale-skinned, 5’ 6”, 30-40, with a stubbly or shaved head and wearing a black jumper and either jeans or black trousers. A police spokesman said, “The boy was understandably alarmed by the experience, but did exactly the right thing in getting home and telling his parents, who reported it to police.